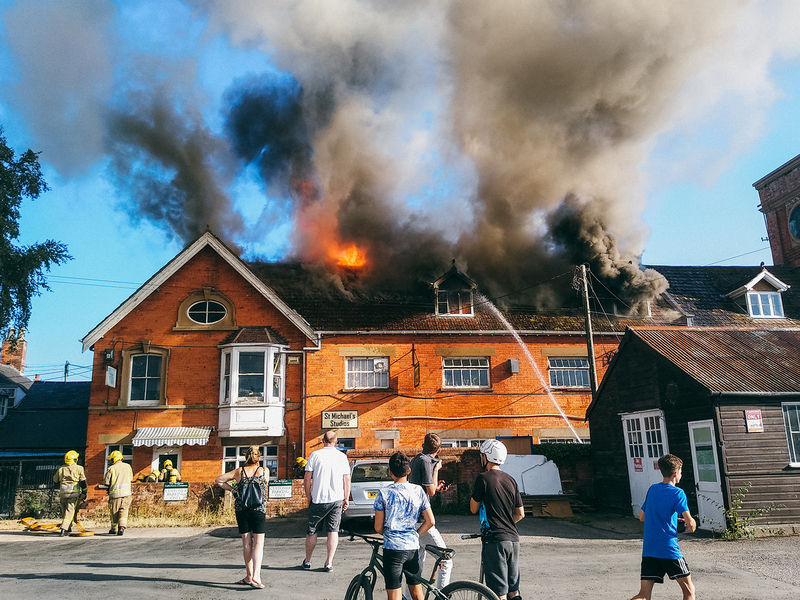 On Saturday evening (7th July), while 25 people were participating in Stir to Action's annual weekender on the Dorset coast, we were alerted to a fire in our office building by a neighbouring tenant. We arrived to watch the roof collapse! 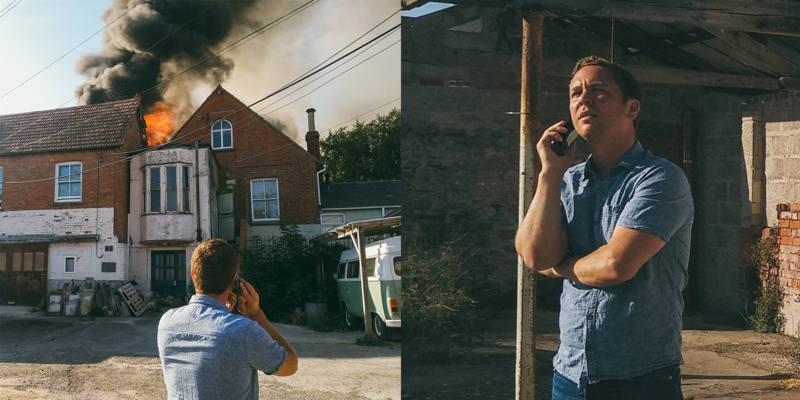 While no-one was hurt, we've lost everything - five years of magazines, our archive, original artwork, new office furniture, and computers. What does this mean for Stir to Action? Over the next week we're going to figure out our losses, explore relocation, and see what we can ask for help with. We're just hoping this will not be too disruptive to our team, programmes and magazine. Will there be a delay with the delivery of the next issue? One fortuitous part of the story is that our latest issue will be delivered this Wednesday and was not in the office as it burned on Saturday evening. There will be a delay, but we hope to get everything in the post by the weekend. We need this week to reflect on our losses and what we need to prioritise to keep moving over the next few months. We'll send an update over the next week. Thanks in advance for messages of solidarity and support!